Since launching just prior to Thanksgiving, a combined 148,487 player accounts have been created at more than a dozen online gambling sites in New Jersey. The state’s Division of Gaming Enforcement released those results recently and have promised to issue revenue totals in another week. Many observers that include officials from states such as Pennsylvania and California are curious as to how many dollars those nearly 150,000 player accounts have been generating. That 150k total may be a bit misleading for two reasons. The first is that gamblers often sign up at more than one site, which would make the total number of actual players far less. The second is that there is no indication as of yet as to how many of those almost 150,000 accounts are residents of New Jersey. Players from neighboring states can also gamble online while within New Jersey borders and it’s likely that thousands of accounts are from those who call New York, Pennsylvania, or another state home. That is important to consider, as it’s quite conceivable that New Jersey may lose those players as regular customers should those other neighboring states someday enact online gambling legislation of their own. Many players from those 150k accounts are seemingly finding their way to the virtual poker tables. PokerScout reported record player numbers over the first weekend of the new year. 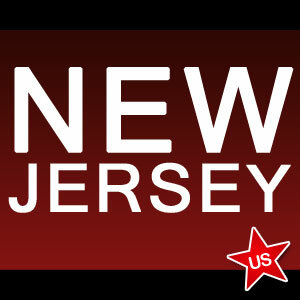 Average cash game player traffic of all four of the New Jersey poker sites combined hit nearly 700 players on Friday. That total outpaced the old record established three weeks ago by over 10%. Party Borgata still rules the roost in New Jersey, with a market share of 47%. WSOP.com has 30% of the intrastate online poker action, while the All American Poker Network (AAPN) clocks in at 19%. The top two sites have both lost 2% of ring game players over the past two weeks, while AAPN gained 3% during the same time frame. Ultimate Poker’s New Jersey offering has just 3% of the market share, losing one-fourth of its cash player action from two weeks ago. The situation looks much better for UP in Nevada. Although UP still trails its only competition of WSOP.com in the Silver State, the latest traffic numbers show 45% of Nevada players choosing UP.